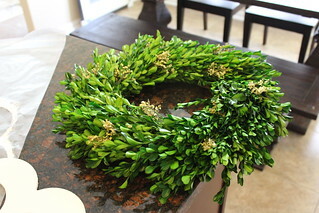 AKA, the Easiest Wreath Ever. 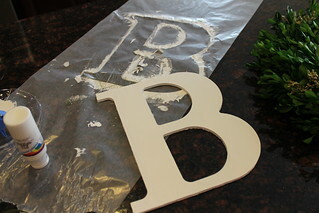 First, paint your letter white (or you know, any other color) and let it dry. 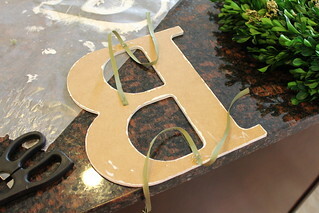 Next, cut two little strips of ribbon and hot glue them to the top and bottom of your letter. 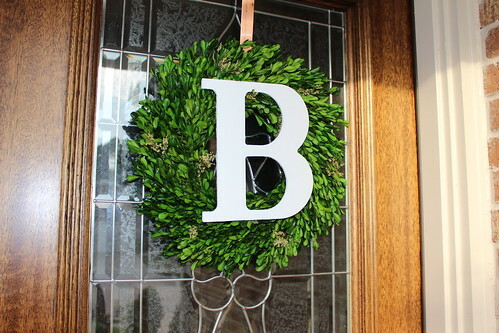 You really don't have to do this step (you could just hot glue your letter directly to the wreath), but I wanted to leave myself the option of removing the letter later, so this way you don't mess up the wreath itself at all! 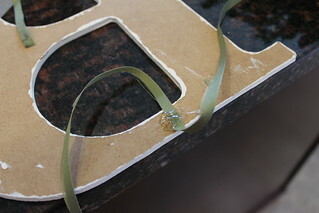 ... and tie those two ribbons to the top and bottom of the wreath (just pick some branches to tie to). You'll want to attach the ribbons slightly higher up than it looks like you should because the letter will "sink" a little when you hang it up (gracias, gravity). 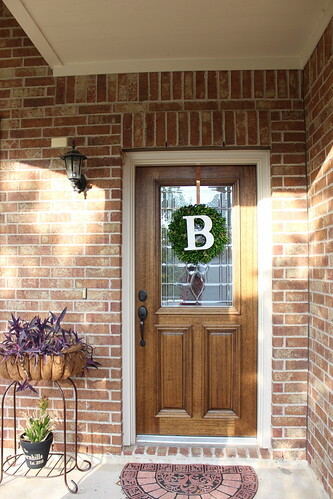 Enjoy your cheery monogrammed front door! Ok...this looks like a project I can handle. 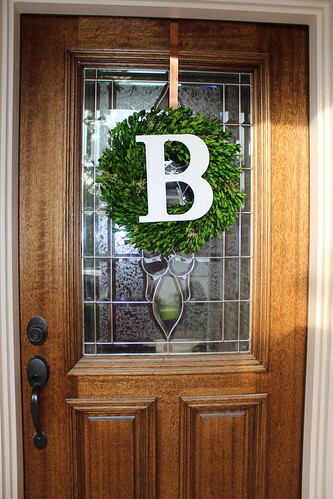 Where did you find the wreath? 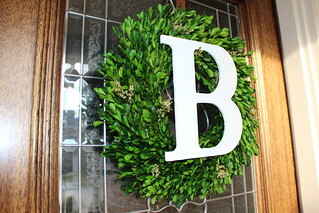 I love the idea of having a wreath out in the summer! So cute!! And easy! And you could totally add little halloween or Christmas things to it (if you didn't want to change it out). I would! Love it!